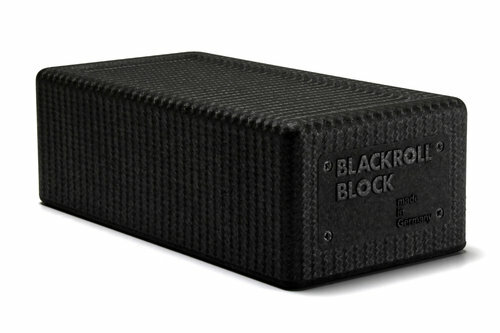 Strong, light and water resistant, the Blackroll Training Block makes for a functional training tool. Ideal for storing your Blackroll Mini or Blackroll DuoBall and Ball, the block also serves as a higher deck for pinpoint massage to target muscle groups that are otherwise hard to reach. If you're into your yoga then the block can also be used for extension, support and easier balance in poses as well as elevated seating/meditation. This block measures 30cm x 15cm x 10cm.